The Collection Services Team coordinates the evaluation, selection, acquisition, licensing, organization and preservation of the library collections, in all formats, in a timely, accurate and accountable manner. 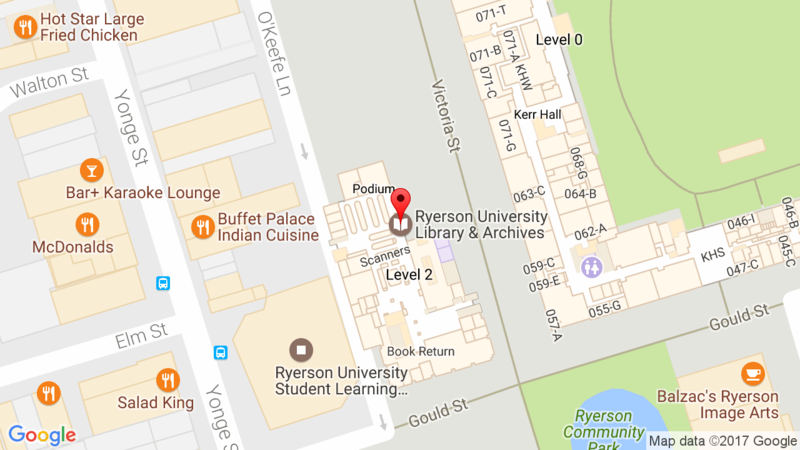 The Ryerson Library collection consists of millions of resources to help you learn, study, and succeed. The collection, including books, e-books, databases, journals, audiovisual materials, and data, contains materials related to all of Ryerson’s courses, departments, and strategic research areas. Most of the electronic resources can be accessed remotely by Ryerson community members with Internet access, although authentication of Ryerson Library registration is required for access to all commercial resources. The Library acquires materials to support the curriculum taught at the university and to support the research needs of faculty. All hard copy materials are housed in the Library building at Gould and Victoria Streets.